The Boston Pops Fireworks Spectacular is this country’s largest and oldest public Fourth-of-July events and one of the biggest annual outdoor concerts in the world. This iconic event annually draws a crowd of more than 400,000 people to DCR’s Hatch Memorial Shell located on the Charles River Esplanade, and carries on in the tradition of founders Arthur Fiedler (Boston Pops Conductor, 1930-1979), who initiated the free Esplanade Concerts in 1929, and David Mugar, who revitalized the tradition with fireworks and cannons in 1974, and a flyover added in 1995. Over the years, this free concert and fireworks extravaganza has attracted not only the people of Greater Boston, but also millions of visitors to our great city. In 1776, our founders advanced their vision of a new kind of nation, the United States of America. Generations later, we celebrate their foresight, wisdom and courage every Fourth-of-July. Today, women and men across America continue our founders’ spirit of forward thinking. Driving advances in medicine, information technology, and the arts and sciences. 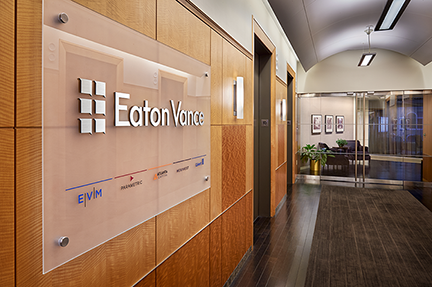 At Eaton Vance, our mission is to advance investing. Eaton Vance. Advanced Investing. Proud presenting sponsor of the Boston Pops Fireworks Spectacular since 2017. Eaton Vance provides advanced investing to forward-thinking investors, applying discipline and long-term perspective to the management of client portfolios. From offices in North America, Europe, Asia and Australia, Eaton Vance’s affiliates offer a broad complement of investment strategies and wealth management solutions. Exemplary service, timely innovation and attractive returns over market cycles have been hallmarks of Eaton Vance since 1924.